Our team of dedicated professionals ensures that requests are managed with precision, 24×7. All requests are logged on Concept Evolution; a real-time system and a Task ID/Request Number is generated and provided to all requestors. This number can be used to track and follow up on outstanding requests. An auto generated email is sent to the requestor when a new request is entered on his behalf, followed by subsequent update and completion notifications. 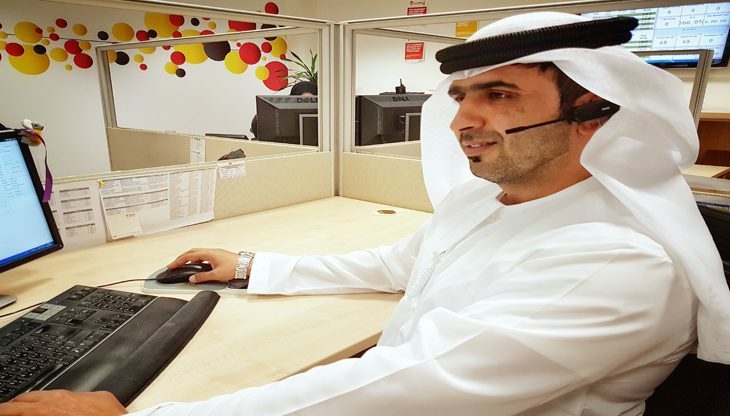 The Khadamat Service Desk will provide you a Request Number for every request that you log through the service desk. If you have provided us with your email address or banner ID, you will receive an auto generated email with the Request Number and the details of your request. You can contact the Khadamat Service Desk and provide the Service Desk Officer the Request Number of your request. If you have provided us with your email address or banner ID, you will receive an auto generated email with the Request Number, details and updates of your request. The Service Desk requests for the Banner ID to enable the officer to run a quick search of the name database and enter a request on behalf of the caller. Once the request has been captured; the system sends an auto generated email to the caller with a reference number and status updates thereafter.